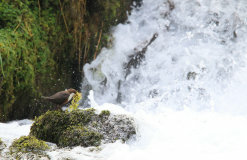 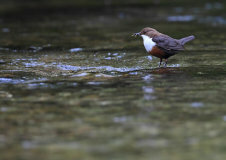 Female Dipper (Cinclus cinclus) collecting food for her young. 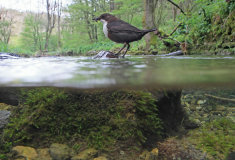 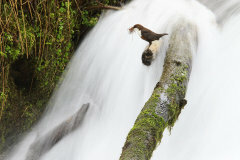 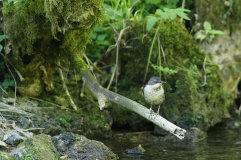 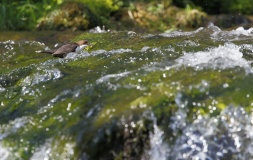 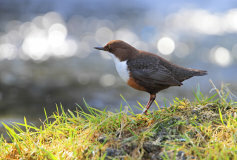 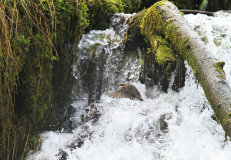 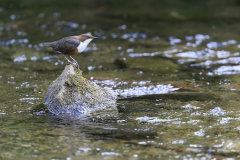 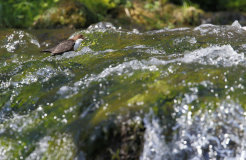 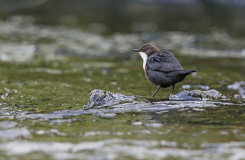 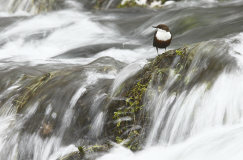 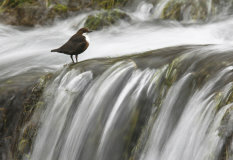 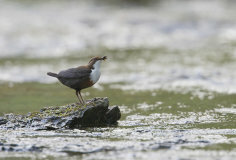 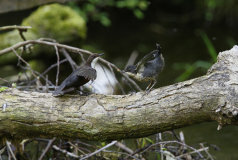 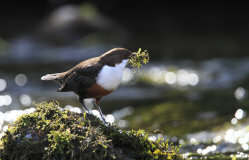 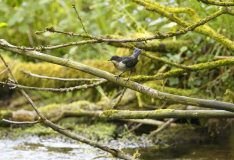 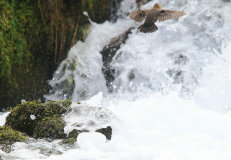 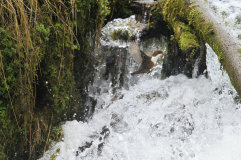 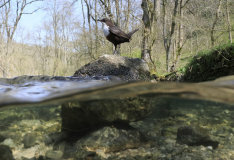 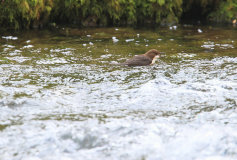 Dippers have a short direct flight and tend to fly in a straight line staying close to the river. 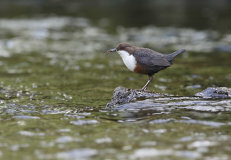 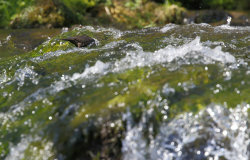 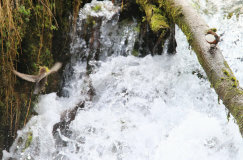 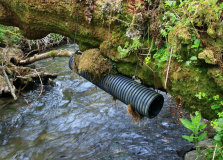 They like clear upland rivers and feed on crustaceans and small fish. 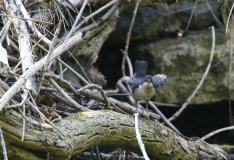 Because of their small size they are susceptible to cold weather. 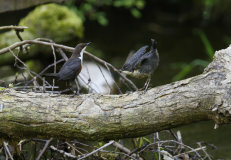 They normally live 1-3 years. 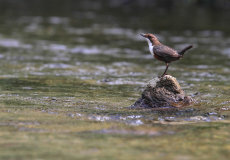 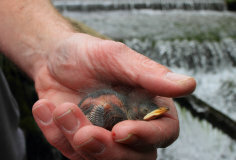 They have a lot of similarities to Kingfishers such as their ability to fish underwater. 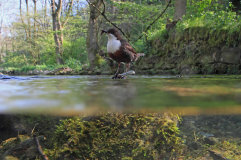 They appear to have similar vision to Kingfishers, they bob up and down to gauge depth. 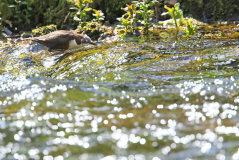 They are very buoyant and must find it hard work swimming to keep on the bottom of the river bed looking for food.